Despite the memory the 2013 Boston Marathon Bombing when terror returned to America during the Obama Administration, today runners and spectators will still be celebrating American’s Annual sporting event that welcomes participants from all over the world. We must all remember the beautiful people who lost their lives and those who were gravely injured in the tragedy. We honor the brave men and women who tirelessly worked in the days after the bombings. This short video is dedicated to the great city of Boston and its people, and especially to the victims Martin Richard, Krystle Campbell, and Lingzi Lu, as well as to MIT Police Officer Sean Collier who died in the line of duty. Officials said there were no credible threats against this year’s Boston Marathon, but they were prepared for anything and everything. The 123rd Boston Marathon began today with 7,000 law enforcement officials working in tandem to keep runners and attendees safe. About 1 million people were expected to attend this year’s marathon. Officials had said there were no credible threats against the marathon this year, but they were prepared for anything and everything. 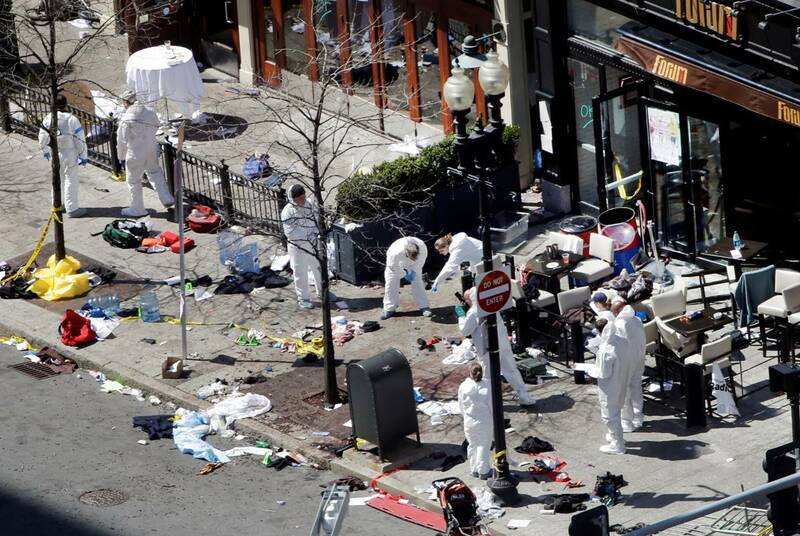 The bombings that took place at the marathon in 2013 are at the forefront of everyone’s minds, as this year’s marathon took place on the sixth anniversary of the tragedy. Security checkpoints were deployed throughout the event area. Officials recommended attendees leave their bags, bikes, coolers, backpacks, cans, bottles and other large items at home. The Associated Press reported that state police helicopters would be monitoring events, and surveillance cameras had been placed at strategic spots along the marathon course. The route was patrolled by hundreds of uniformed police and National Guard members, along with an undisclosed among of plainclothes officers mingling with spectators. The Massachusetts Emergency Management Agency Headquarters acted as the Unified Coordination Center during the race, MEMA said. The UCC hosted 250 liaisons representing 70 federal and state agencies, along with nonprofits and private companies that helped coordinate safety at the race. And Saying A Little Prayer Didn’t Hurt, Either! This entry was posted in Uncategorized and tagged 123rd Boston Marathon, 2013 Boston Marathon Bombing, Boston Mayor Marty Walsh, Security High On Anniversary Of Terrorist Attack, terror returned to America during the Obama Administration on April 15, 2019 by charlesfosterkane.